Art, shopping, culture and cuisine! Live the Cherry Creek lifestyle. This gorgeous Madison Creek condo offers the ease of contemporary lock-and-leave living with elevator access while still satisfying traditional space, storage and comfort needs. Beautiful hardwoods, walls of windows, ample storage and perfect kitchen for entertaining. Rare fireplace for those fall evenings. 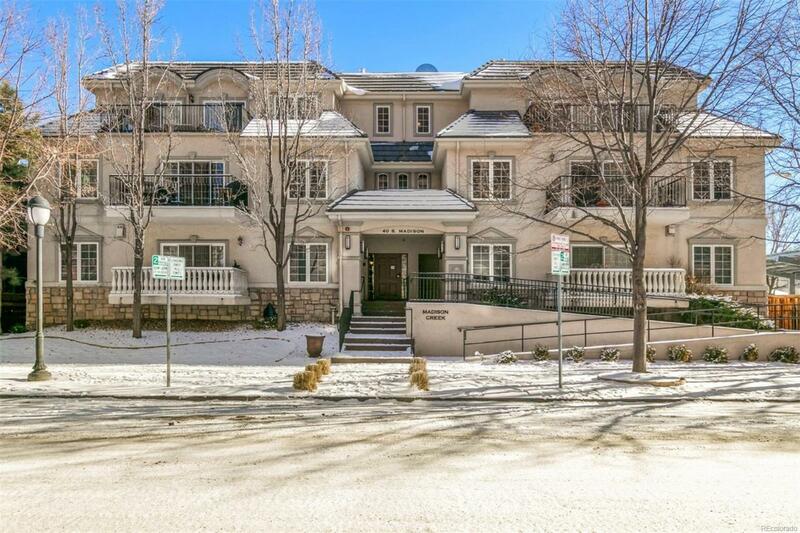 This two-bed, two-bath gem in the heart of Cherry Creek South has it allincluding two parking spaces.